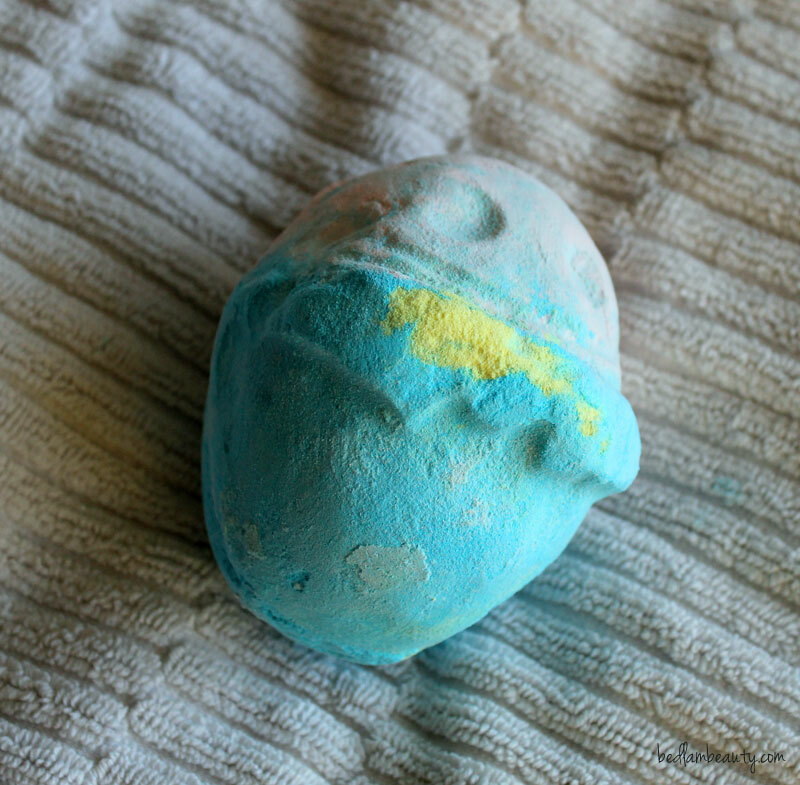 Lush is a relatively new indulgence for me. I didn't realize until recently that we had one quite close-by...though its a bit of an awkward trip for us. But the husband fell in love with the Kalamazoo Beard and Face Wash, so we make the trek now and then. We stopped in before Easter, and I picked up some little luxuries for the wee folk. Also, for the record, this is as close to "Easter Baskets" as my kids ever get. The store in Carmel is tiny, and the salesfolk are a juuuust a little too helpful for my personal comforts...but there is a whole wall of bathbombs in the back corner. 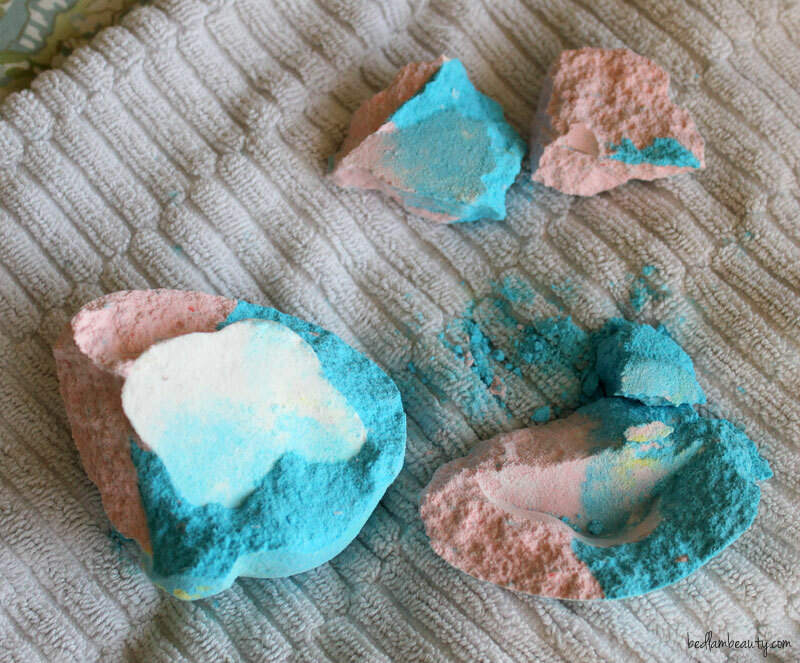 My kids are in LOVE with bath bombs these days. Over the moon in love. And as Easter gifts go...this one was pretty mild. 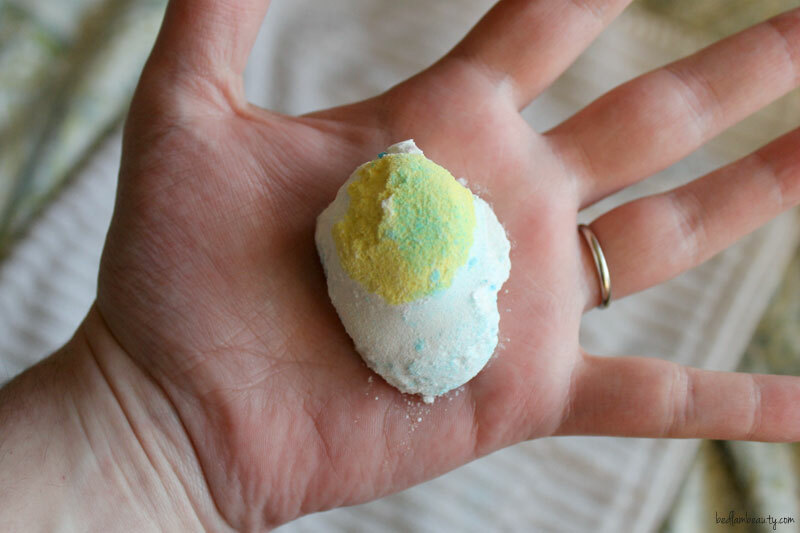 I grabbed them each a jumbo-sized Humpty Dumpty bomb...since they have a secret inside. aaaaand this might be what you end up with. Bless his heart. And before you admonish me, remember I had two of these, and they both looked like my photo. 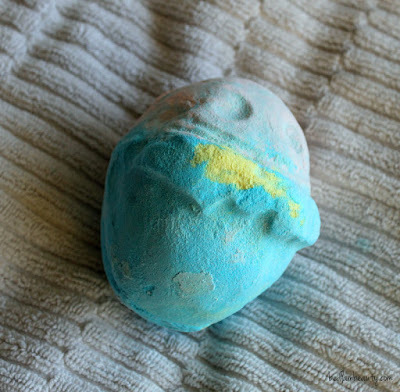 The staff at the store suggested that we could carefully break these bombs to reveal the surprise inside and also stretch these out for a few baths, since they really are large. I think, for a half-filled/rather shallow bathtub, we will get three decadent uses. I think you aren't supposed to smash these, rather let it dissolve and reveal the...gooey fried egg center? I dunno, guys. That seems weird. But I guess if you have a big soaking tub then this wouldn't be too much. The bomb is warmly floral and fresh. There were notes of orange and something else...but not a hint soapy, so I'm thinking it wasn't a rose. After a half-hours soak, I dragged my kids out and dried them off. I promise there was minimal tickling. Because tickling a child wrapped like a burrito is just plain cruel and not-at-all hilarious. The whole house smelled good. My kids were soft and smelled like something other than playground and crayons. I would definitely purchase again. Every time I go to Lush, I try something new. I haven't found anything yet that I need to live. What do you think I should add to my basket next time? I bought a chunk of soap too. Its divine. So fun...the little egg inside is a cool surprise! I love LUSH. 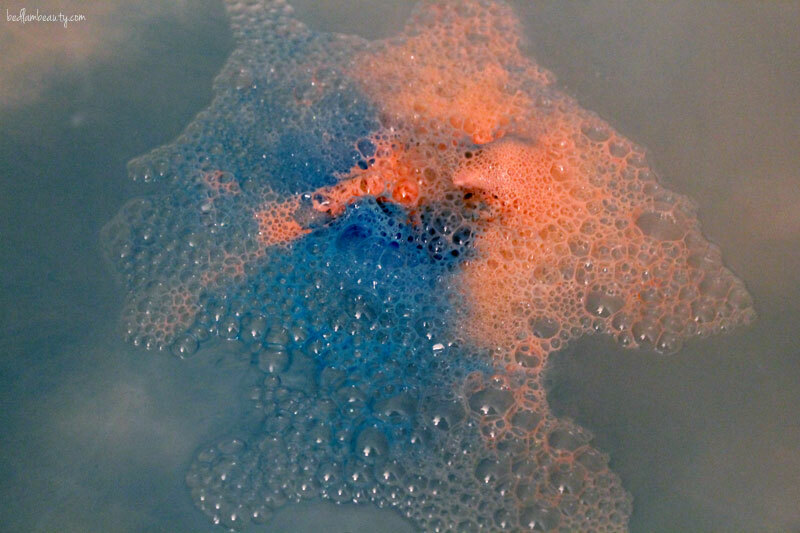 My very favorite product is The Comforter Bubble Bar. But I'll try just about anything there! Okay, that's so funny! 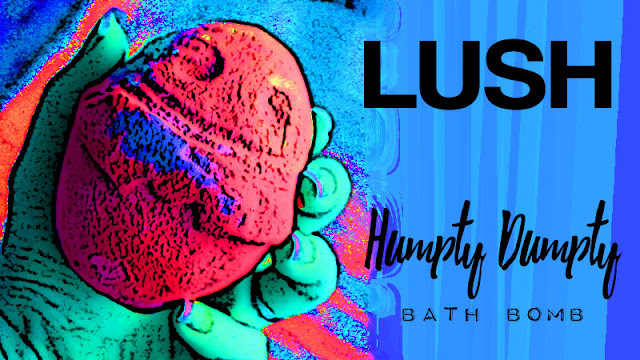 I haven't heard of LUSH before, but I love Carmel, so the next time I go there I'm going to have to check it out! Hahahaha!!! I love the egg center!!!!! you NEED to try Rub,Rub,Rub....its amazing. I went into our local LUSH to purchase a gift for a friend's birthday & a Sales associate grabbed my hand & poured some Rub,Rub,Rub into it before I could object. I have a anxiety disorder & I loathe being touched by strangers so this was something that would usually set me off. She was massaging it over my hands while leading me to their sink to rinse and the way it felt when the water hit my hand was such a pleasant surprise that I calmed down & avoided a melt down. Our LUSH used to be inside Macy's on the side of the beauty maze so it was really bright & open. Now they moved into their own location in the same mall but its so narrow with this giant table running down the middle that I can't make myself go more than a few feet into the new store before I turn around & walk back out. I'd rather order online now. And they need to bring back Sweet Japanese Girl. I'm still in mourning over that one! Cute as can be even though I'm not a Lush girl. I've never tried their stuff before but I've been in the shop. I find the smell overpowering. 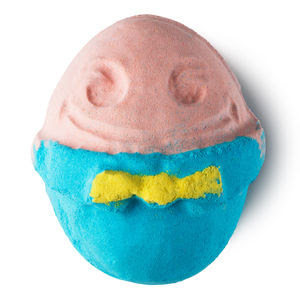 I like Lush's soap but find everything horribly priced. I wish I took baths more so that I could use these types of products -- they sounds so much fun to use!